Talks and Discussion about the active role of design and art for social change. Two artist’s collectives will report about creative projects with sociopolitical claim on the third night of the talk series. Leonidas Martin from the Spanish group ENMEDIO and Dash Macdonald and Demitrios Kargotis of the British collective DASHNDEM will discuss the productivity and power of political dedicated design. Leonidas Martin from the group ENMDEIO is a professor for new media and political art at the Universitat de Barcelona. He writes about art and politics for various publications and has produced several documentaries for TV and internet. Besides sundry guerilla-platforms between the poles of communication and activism like „New Kids on The Black Block“, „Pret-a-Revolter“ or „Yomango“ he is also one of the initiators of ENMDEDIO, which translates as „in between“. The group of artists of various disciplines is dedicated to a stronger relationship between art and politics: the collective’s photographies, design and new media flow into spectacular interventions searching for creative answers on questions of political action and social ideal. ENMEDIO for example initiated a spontaneous party in a bank branch to celebrate the closing of a bank account to sharp the public awareness on the responsibilities within the banking crisis. Within another project ENMEDIO delivered hundreds of postcards with personal notes of the population threatened by eviciton to a major bank in Barcelona as a reaction to the Spanish real estate crisis. Dash Macdonald and Demitrios Kargotis form the British collective DASHNDEM. Dash Macdonald lectures in the Design and Visual Arts Department at Coventry University and at Goldsmiths University of London, Demitrios Kargotis lectures in the Art and Design Department of Birmingham City University. 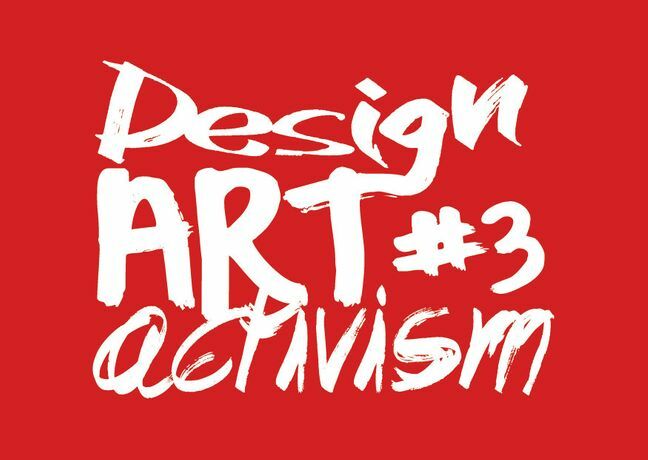 They established the action group DASHNDEM which organises participatory projects that focus on the connection between artistic entertainment and political education together. DASHNDEM for example initiated a TV talent-show in Finland in which a lookalike of the British prime minister David Cameron together with teenagers searched for creative solutions for political grievances. Recently the collective reacted on the British nuclear policy with the revitalization of a post-punk-compilation from the 1980s. Under the title „Dump it on the Parliament“ DASHNDEM together with original band members from then and teenagers musically searched for things they’d like to dump on the parliament and referred to the proposed nuclear waste dump in British Bedfordshire in this manner.